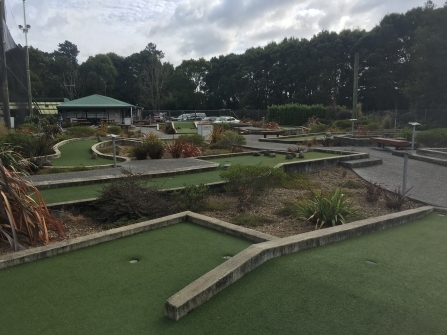 This weekend was round 5 of the NZ minigolf Pro League in Hamilton. Hamilton for a while had a slogan of �the city of the future�. its a nice place but maybe not the city of the future nice, but being from Auckland just an hour up the road we like to give them a little dig once in a while. After a long Friday at work Saturday couldn�t come around fast enough, and seeing a live Facebook update during Friday from Bobby Hart while he was down in Hamilton logging in the practice rounds made me a little jealous. Saturday started early�ish for a Saturday, but being that its just an hour drive to Hamilton I did have a small sleep in. I Hit the road just after 8.30am, but with out breakfast or a coffee so that was going to be my first stop once arriving in Hamilton. After finding a half decent coffee and some berry pancakes it was time to hit the course at pro drive and log a few practice rounds of my own and master some of the lines and shots that I had worked on the the week before. The course at pro drive is a very generous par 66, a lot of the holes are at best 2 shot holes at best with maybe only 6 or 7 holes that realistic ace chances. The story of the day for me will be cutting out the blowout round and keeping the scoring consistent, don�t chase impossible shots trying to make up for bad holes. And of course lower my average of 50.5 from the last event held there a couple of months ago. An attacking mindset on the ace holes, and smart play on the longer more challenging holes, but is always easier said than done. The weather forecast for the day was for rain, but when we rolled around to the starting time at 1.30pm there was still no rain and looking like we would get lucky, and despite the forecast we still had 17 entered to play with a couple of newbies which is always good to see. Through the first two rounds my play is solid and steady, a couple of not so great holes each round but coming home strong on the inward nines and rolling in a couple of aces here and there to keep the scoring in check. After 2 rounds I�ve managed to card two 48�s, 5 shots better at the same time than the first event here a couple of months back. And a bonus that other than one short but heavy rain shower it doesn�t looking like raining again and the holes haven�t slowed up much at all. the best round over all at this stage is a 47 from John Ansley who is currently the Pro League leader over all. Round 3 is another solid round, but this time manage to limit some of the bad miss putt�s and shave another 2 shots off and card a 46. A three round total of 142 gives me a 4 shot lead into the last round. i�m grouped in the last round with Fred Fruisen (146 total) and John Ansley (147 total). My game plan for each hole has paid off and other than a shocking 5th hole and a lapse in concentration on the last I come in with another 46 for a final total of 188 and enough to take the victory by 7 strokes, my first win and hopefully the first of many. 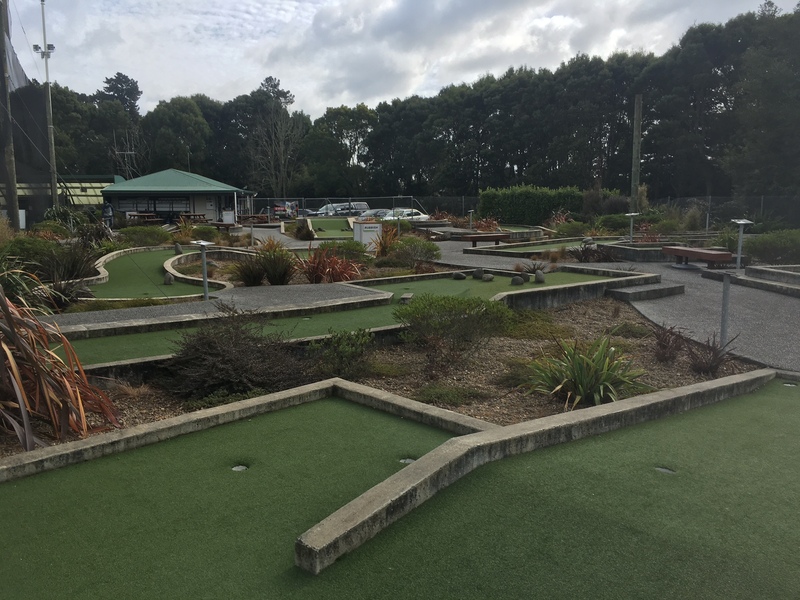 There was a score of 43 on the day in the last round and the low score of the day, James had needed an ace on the last to tie the course record of 41, sadly he didn�t quite make it but with that low last round got himself in the money in 4th place. Being the last competitive hit out before heading to Croatia for the WAGM and the World Champs I�m happy with how I�m rolling the ball, the practice at home in the hallway hitting 100 putt�s every second night is helping with the rhythm with the new putter. I�m amped up and getting excited to get into Croatia and hopefully continue rolling the ball well enough to compete with the worlds best.